It still snows in May, it starts to rain in July, leaving baking-dry-most-hours-of-daylight June as the hottest month of the year in my neck of the southwest. Surely everyone knows this, I have have been known to pronounce, perhaps incredulously. Except, it turns out, July is actually the hottest month. Now I feel kinda stupid. Never-the-less, it does rain a lot more in July, (There is data! See above!) and the thundercloud build-up in the afternoon can block the sun. Rain can cool things off. So, maybe the average LATE AFTERNOON temperature is higher in June. According to this bit of NOAA data (see below), THAT is true. The average (1981-2010) hourly temperatures on June 15th vs. July 15th at the Albuquerque International Airport (the nearest station with hourly data) shows it IS hotter in June from 6 to 8 pm. So. This last week has been hitting high 90’s at my house (99 Tuesday. Huh–that might be a record…) and over 100 in Albuquerque, which is actually pretty rare. 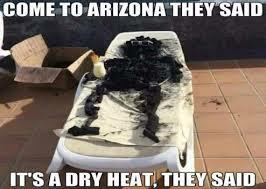 At least we are not as hot as Arizona! It is cooler if you go higher, which in part, is why my house at 6,800 feet is usually about 10 degrees cooler than Albuquerque at 5,000 ft. At 10,000 feet at the 10K Trail in the Sandia’s last weekend, it was clear and pleasant in shirt sleeves. Stacie and Sid at over 10,000 feet! Sandia Peak is nearly 11,000 feet above sea level and is a “Sky Island” jutting up from Albuquerque (5,000 ft). This pic is looking more north towards Santa Fe (7,168 ft). Me and LT, Justin, Ruby, Miriam, Sid. Over 10,000 feet, looking east. 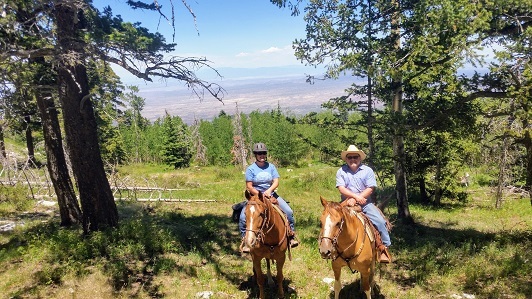 At 8,000 to 9,000 feet in the Manzano Mountains on Sunday, it was sweaty when we were cutting trees to move off the trail, but comfortable the rest of the time. The most interesting log we did was at Spruce Spring. A dead aspen had fallen on the spring box and was stretched in barkless recumbency along the trail to the little water tank. 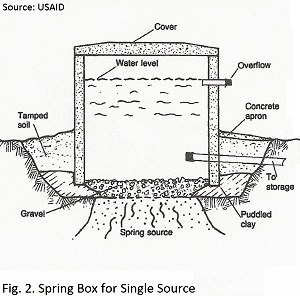 The tank was dry, but water was still pouring, clear and cold, out of the overflow of the spring box. We were afraid the drain line to the storage tank had been broken by the tree, but when we cut the log and rolled it away, the hose at the little metal stock tank starting gushing water and the tank was full within minutes! The tree had only pinched the line shut and as soon as the pressure was relieved, problem solved! 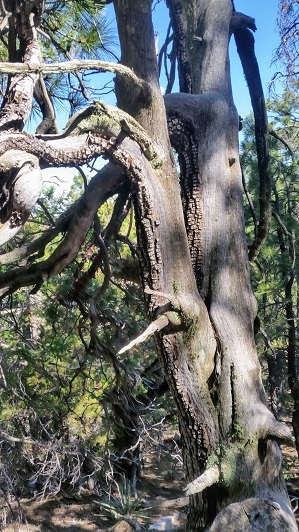 One other cool (not literally) thing on Spruce Trail is a stand of really big and gnarly one-seed and alligator junipers. I only took a single decent picture, but I think going back for portraits of these trees might be fun. 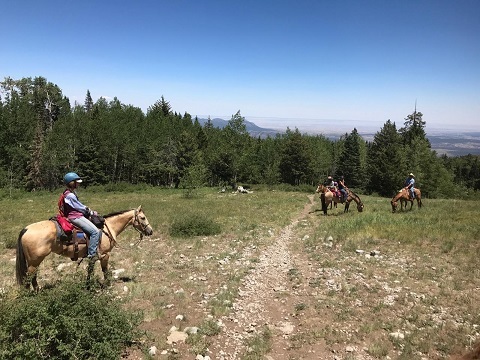 Both of our Back Country Horsemen projects in the Manzanos for this coming weekend have been cancelled, due to fire danger (a trail crew pack-in) and lack of participation (clearing project). Fortunately, the heat is supposed to break, and there is even a chance for rain. The highs on Saturday and Sunday should be in the low 80’s. Geez, I might have to go down to Albuquerque just to warm up!